2017 In A Sentence: After winning their first two games, the Pioneers limped to the finish line, going 2-7 to finish with a 4-7 record with a reasonably young team. Biggest Shoes to Fill: Though many pieces return for the Pioneers, WR Byron Barney, their top receiver with 704 yards, does not. 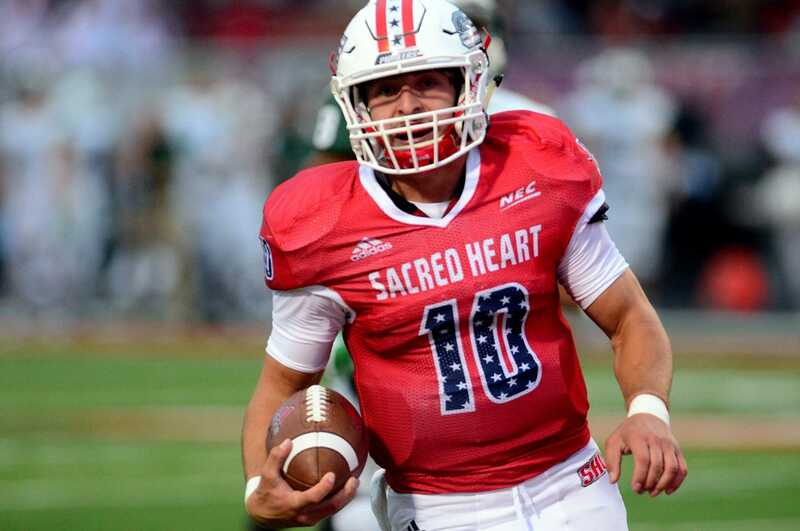 Key Player: Last season, QB Kevin Duke took over from one of the most prolific passers of the Sacred Heart program, and did an admirable job, completing 61.1% of his passes for 2,596 yards and 15 TDs. But some critical interceptions put the Pioneers in some deep holes. With many of the same weapons coming back, if he can keep his mistakes at a minimum, watch out. Fearless Prediction: It’s not out of the realm of possibility to see Nofri’s team compete for the NEC title with what’s returning on offense and defense, despite last years’ 4-7 record. 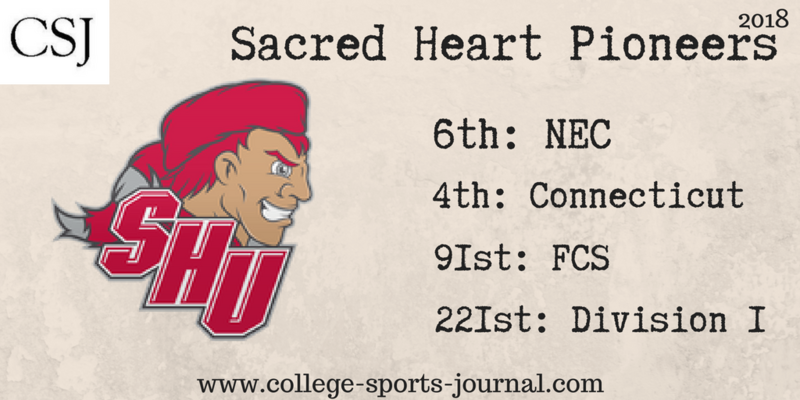 If they can survive a brutal seven-game stretch to start the year with five road games (at Bucknell, at Wagner, at Cornell, at Dartmouth and at Central Connecticut State), they could surprise some teams when a more home-friendly schedule gets started in October.